Take the wait out of weight loss by listening regularly to Lose That Weight Now. 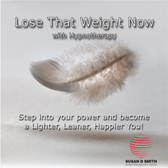 I have created this hypnosis program to allow you to take on board simple common sense suggestions about your eating habits. There is minimum effort required on your part to listen regularly last thing at night as you drift off to sleep. Alternatively set your alarm 20 minutes early in the morning and arise with a positive sense of commitment and determination to eat sensibly. You can also use the program/cd as a power nap in the middle of the day or any other time. 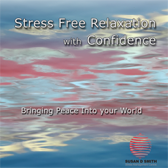 By listening regularly to the Stress Free with Confidence cd/program you can expect to feel more relaxed, develop a more optimistic, positive state of mind and have a better sense of self-confidence. Hundreds of people listen regularly to Stress Free with Confidence using it as a general boost to self-esteem or in preparation for something more important such a presentation or public performance. There are all kinds of reasons that people have poor breathing patterns, for example holding the breath without realising it, this can result in symptoms such as anxiety, panic and physiological symptoms of stress and tension. 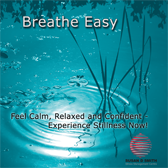 BREATHE EASY was created in response to the growing number of people suffering from such conditions. This is a training program that with practice will alter your breathing leaving you feeling more relaxed, in control and altogether calmer. 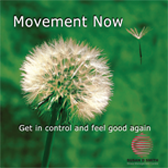 MOVEMENT NOW contain a series of safe and gentle exercises ideally suited to 3rd age generation adults or anyone who has suffered from ill health and who want to feel flexible again. If you have been leading a sedentary lifestyle or just want to begin a regime of exercises that are simple, safe and gentle, this is an ideal programme for you. Gotta say it! The information presented here is for your educational use only and is not intended as a substitute for professional medical advice, diagnosis or treatment. It is important that you seek the advice of your Doctor or qualified health provider with any questions you may have regarding your health, diet, fitness regime or intended health programme. All rights reserved. Written permission is required from the author to include posts in their entirety on your site or in print. If you use a quote or portion of a post(s), ensure that they include attribution. Sign up to my Stresshacker newsletter for stress-busting tips and exclusive content and I'll send you a FREE Five-Minute Meditation Power Nap MP3 download, mind hacking exercises and exclusive tips and tricks.